When Chip Jackson of M-G-M asks Ricky to perform at a studio party to be attended by the executives, he refuses, preferring to go deep-sea fishing instead. However, Lucy has other ideas and tells Jackson that Ricky will be glad to appear. Using a rubber replica of Ricky's head attached to a stuffed dummy (Lucy calls it "Raggedy Ricky"), Lucy steals the spotlight as she dances to "I Get Ideas". 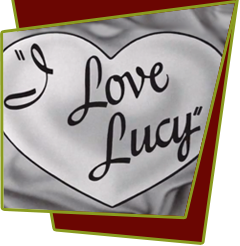 In the middle of the number, Lucy dramatically announces that "Ricky" has taken ill, and she drags the dummy into the wings. Lucy will complete the act herself, "the show must go on," she insists but the dummy gets caught on her Spanish senorita outfit, refusing to come loose. The performance is hilarious, and the studio offers her a one-year contract as a comedienne. She dreams of the big career in show business she has wanted for so long, but her allegiance to Ricky and the baby comes first and she decides to turn down the studio offer. Special Notes: When this episode first aired, it ran 3 minutes short because it was edited to fit the time slot. CBS filled the gap with a clip from Samuel Goldwyn's upcoming film version of "Guys and Dolls", Frank Sinatra's "Adelaide" number, just before Lucy was introduced dancing with "Raggedy Ricky". "Adelaide" was then deleted from all reissue prints of this episode. The day after this episode aired, Frank Sinatra had people coming up to him saying that they saw him on I Love Lucy. It was because the people saw him in the clip from "Guys and Dolls".